Bashar confidently says his army has regained the initiative on the ground. His wife is reportedly pregnant. Signs are multiplying regional states have grown weary of the Syria saga and the opposition stands alone. Egypt is burning. Her opinion-shapers take note, bicker on all Egyptian and Arab TV channels and then make -- one after the other -- submissions to President Mohamed Morsi. Meanwhile, TV subscreens show youths hurling out of windows the furniture of government offices or torching an army vehicle. No one bothers to utter the magical sentence, “Guys, go home. We’ve lost control of the revolution.” The maximum you would hear from someone with a modicum of responsibility is a condemnation of violence “by all sides.” It’s as if that person got a whiff of victory and of Morsi’s exit, meaning he could maybe replace him. The said person would then call for renewed protests Friday-week, knowing a few more youths would be killed that day aimlessly, save for piling token pressure on the regime. Morsi himself has lost control. The curfew he ordered went unheeded. Assassinations in Libya, suicide bombings in Yemen, rows over forming a new government in Tunisia… I seemingly listed Tunisia in this context, but it’s paradise compared to the rest. So did the Arab Spring end? Indeed, its warmth and romanticism have evaporated. The Arab Spring has given way to the “World of Reality” with all the bitterness of economic meltdowns and of crumbling government agencies inherited by the new regimes. Clearly, not one Egyptian is convinced when the incumbent transport minister blames the former regime for the high number of train accidents and fatalities, saying 85 percent of Egypt’s railway carriages need replacement. 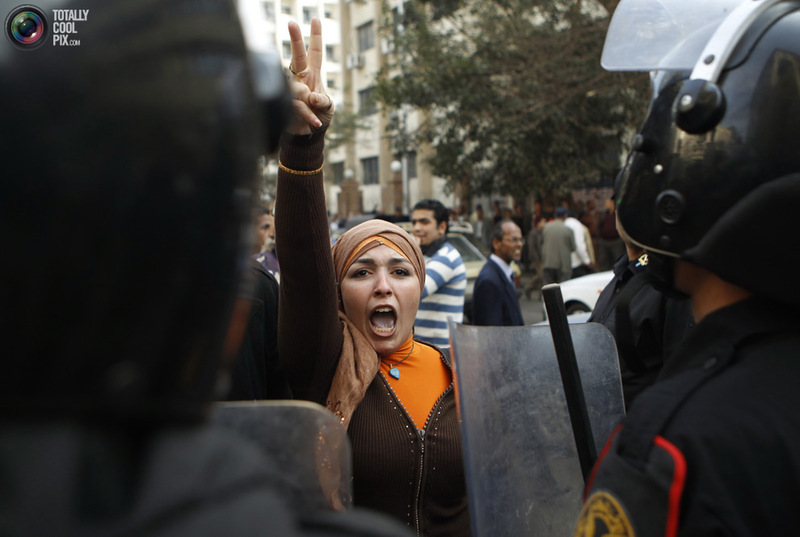 Angry Egyptians don’t focus on the Mubarak regime anymore. For them, the responsibility falls on the incumbent minister, as well as on Morsi and the Muslim Brotherhood. They would surely clamor for his resignation at the next train crash. The fact a juvenile political environment lying in wait to capitalize on any mistake is pitted against a government catapulted to power short of experience and vision is bound to exacerbate the face-off. The Arab Spring has ended, but the Arab Revolt keeps going in its ceaseless furies, retributions and swings. On seeing an Egyptian repaint a Tahrir Square sidewalk, or a Libyan in tears hugging his brother, the optimistic analyst said Arabs would forge ahead with their newfound renaissance since they had taken stock of the mistakes of previous revolutions. The cheerful analyst believed collective human experience was cumulative and Arab citizens and politicians are politically aware of past facts and events. The pessimistic analyst, who chose to duck in the heydays of the Arab Spring, for fear of being branded a “leftover,” can now relax and pontificate about revolutions having lives of their own and evolving independently of revolutionary idealists and dreamers. 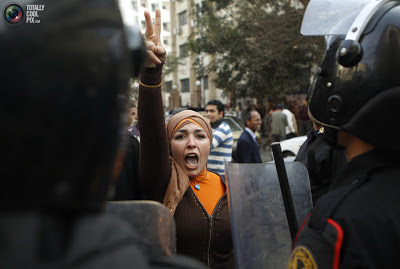 The cynical analyst would also say Egypt – the Arab Spring’s coveted prize – would need at least a decade to stabilize. He would also recount to his audience the French Revolution’s history – how it took a decade to settle and several other decades of mutations before culminating in a potent democracy. I believe both analysts would agree there’s no turning back. Morsi might fall or have to call for early presidential elections (a smart move, I dare say, by the Brotherhood). (d) Likewise, the liberal forces won’t pass from sight once they disband the Salvation Front they set up to bring down the Brotherhood regime. Egyptians and all other Spring Arabs will twist and turn till they find a governance formula acceptable to all sides, especially the liberals who had difficulty digesting the rise of marginalized forces. Political life could be deactivated for a year or two, but there is no escape from returning to the ballot box once political life resumes. The Egyptians have gone through all that before. There is no place either for new “Socialist Unions” even in the name of religion. The force of history is on the side of freedom and democracy. No Syrian will accept a consensual sectarian arrangement whereby Alawites are apportioned a specific quota in the security services and then share power with the other sects. Neither Russian Foreign Minister Sergei Lavrov’s view that the opposition forecloses a political solution by insisting on Bashar’s exit, nor Iranian presidential hopeful Ali Akbar Velayati’s warning that Bashar is a red line, nor remarks that the absence of a bargain with the regime suggests Syria’s partition can sway the Syrian people. Syrians will uphold the territorial integrity of their country and carry on with their revolution as long as necessary. The Syrian revolution might last for years after turning into a militia war. The regime itself is a militia equipped with airpower, long-range missiles and chemical weapons. Bashar won’t rule the whole of Syria again. Even if the “Friends of Syria” abandoned the Syrian Revolution, Bashar’s fall is inevitable. The Syrians might squabble after his exit and Jabhat al-Nusra might declare an Islamic emirate in Aleppo. But in the end, their choice will be between the ballot box and chaos. Tunisians will bicker during the countdown to their elections in the summer, and so will Yemenis in the buildup to their first free vote for a president in February 2014. Yemen’s “Southern Movement” will keep protesting and al-Qaeda will continue its suicide operations. But the ballot box will be last and sole recourse for Yemenis, Libyans and Tunisians. The central problems is the Arab world’s largest country, Egypt, whose political elites refused to accept the ballot box results and chose life and dialogue in the studios of Egyptian satellite TV channels, instead of in parliament.